Tyler County Courthouse - Volz & Associates Inc. 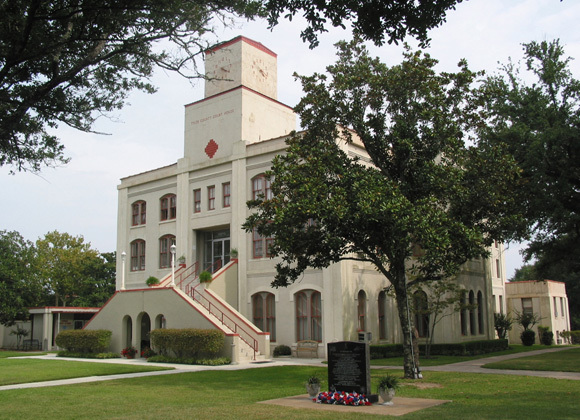 The Tyler County Courthouse is the county’s third, constructed in 1891, and the only one designed by the architectural team of Frank Glover and T.S. Hodges. Its original design was a prime example of the Victorian Eclecticism that dominated Texas architecture in the late nineteenth century, combining elements of the popular French Second Empire style with Romanesque, Classical Revival, and Mediterranean-influenced details. In 1935-37, the courthouse was significantly altered as a Works Progress Administration project. A four-story jail addition was constructed and the courthouse was substantially transformed to a Moderne style. 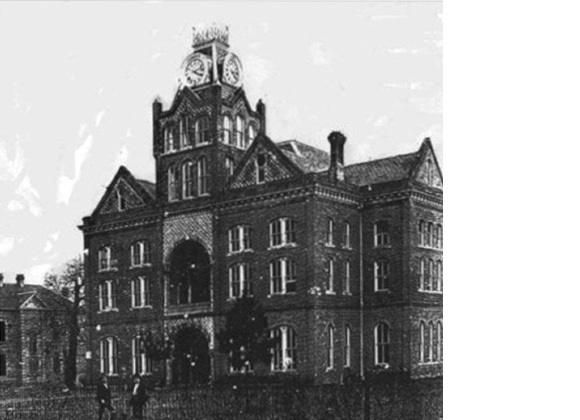 Working with Volz & Associates, Inc., Tyler County has determined that the Courthouse’s appearance from 1891 to 1935 represents the period of maximum significance to the County architecturally, historically, and socially. Volz & Associates has updated a previously prepared Master Plan to reflect Tyler County’s commitment to full restoration of the Courthouse to its 1891 appearance, and is developing base drawings for restoration at this time. • Reconstruct missing historical features including the original stair, courtroom spaces, balconies, and third floor level.